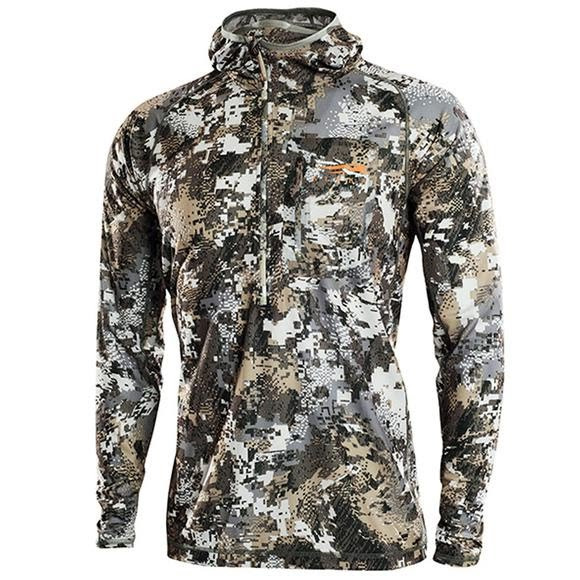 With long sleeves and a form-fitting hood, the Sitka Gear Core Lightweight Hoody wicks away moisture and keeps you concealed when you're closing in. Featuring a deep, center chest zipper for superior ventilation and a built in face mask for those quick set ups, this piece is perfect for stalking, tree stands or ground blinds. With long sleeves and a form-fitting hood, the Sitka Gear Core Lightweight Hoody wicks away moisture and keeps you concealed when you&apos;re closing in. Featuring a deep, center chest zipper for superior ventilation and a built in face mask for those quick set ups, this piece is perfect for stalking, tree stands or ground blinds. Awesome product at a great price. Shipped on time and great service. awesome camo for warm days.